Does B2B influencer marketing have you confused? 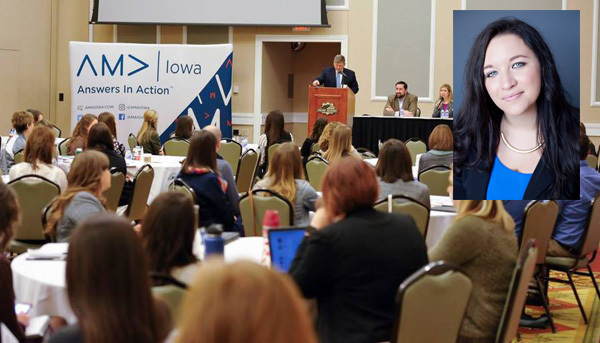 Learn to attract, engage and persuade B2B influencers from TopRank® Marketing’s noted Digital Strategy Director Ashley Zeckman, who will be speaking this Wednesday, April 4 during the American Marketing Association’s 2018 Iowa event. For years we’ve seen celebrities plastered on magazine covers, perform in television ads and pimp out their social media networks for pay. But is that really influencer marketing? What if instead, there a way for B2B and B2C brands alike to develop a structured influencer driven content program that is less about paying a famous face and more about helping your audience see themselves in the content that you create? This presentation will cut below the surface to uncover top ways to work with influencers in order to create a memorable content experience for your customers, build brand authority and generate marketing ROI. Be sure to follow Ashley Zeckman @azeckman and the event’s Twitter hashtag #AMAIOWA, and take advantage of a great opportunity to her her speak to the AMA Iowa this Wednesday. Registration and conference details are available on the AMA Iowa website. If you’d like to learn more about our influencer marketing career opportunities, visit the TopRank Marketing careers page.